6th Annual International Cell Surgical Conference is organized by International Cell Surgical Society (ICSS) and will be held from May 31 - Jun 02, 2019 at The Beverly Hilton, Beverly Hills, California, United States of America. The target audience for this medical event is physicians, surgeons, healthcare practitioners and Professionals from interdisciplinary fields. This CME Conference has been approved for a maximum of 8.25 AMA PRA Category 1 Credits™. 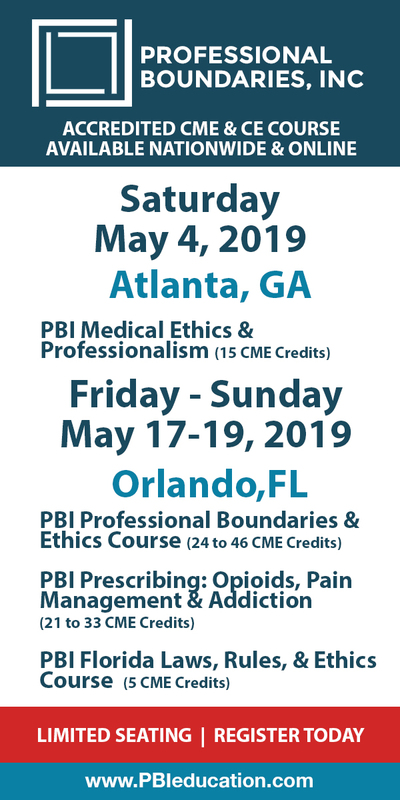 Conference Overview: Learn How You & Your Patients Can Benefit! 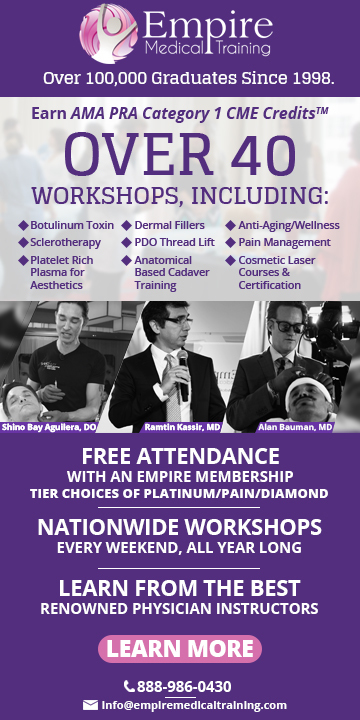 Join Physicians from around the globe in Beverly Hills, CA for the 6th Annual Cell Surgical Conference - a 3-day multi-disciplinary event that examines the most recent advancements made in regenerative medicine in the fields of orthopedics, neurology, urology, pain management, aesthetics, and more. Attendees will: • Discover How IRB Approved Regenerative Medicine Protocols Can Benefit Your Patients and Practice • Get Hands-on Cell Surgical Training & Certification using Mini-Liposuction Required for Cell Surgical Network SVF Technique • See a live cell surgery performed under International Cell Surgical Society IRB approved protocols • Meet some of the world’s leaders in clinical and laboratory stem cell research from 25 Countries • Earn Continuing Medical Education Credits while you hear presentations on cutting-edge developments in Regenerative Medicine. • Attend the Healing Our Heroes Dinner Charity Gala and Reception at the Iconic Beverly Hilton Hotel Conference Description: Three different tracks offered at the 6th Annual Cell Surgical Conference to fit interest levels and backgrounds of all types. The Science Only, Physician Practicum, and Physician Practicum Plus Mini-Liposuction Certification and Training tracks will all gain you access to two days of science lecture, a Friday night cocktail event, and Saturday night charity dinner gala, all at the iconic Beverly Hilton Hotel. Both Physician Practicum options will feature a live cell surgical procedure, explaining the International Cell Surgical Societys IRB approved protocols employed by the Cell Surgical Network. The Physician Practicum Plus Mini-Liposuction Certification and Training will feature hands-on training in the surgical technique required for each cell surgery. While regenerative medicine is a critical component of our specialty, the Cell Surgical Conference also hosts plastic surgeons, osteopathic physicians, neurosurgeons, cardiologists, orthopedic surgeons, naturopathic physicians, physician assistants, registered nurses, chiropractors, dietitians, and many more disciplines. Pre-Conference will be held on May 30, 2019. Additional details will be posted as soon as they are available. Cardiac CTA Technologist Training Course is organized by Amery Medical Academy (AMA) and will be held from Jun 08 - 10, 2019 at Beverly Hills, California, United States of America. This CME Conference has been approved for a maximum of 9 CE Units. Additional details will be posted as soon as they are available. Cardiac CTA Course Level 3: Expert is organized by Amery Medical Academy (AMA) and will be held from Jun 08 - 12, 2019 at Beverly Hills, California, United States of America. This CME Conference has been approved for a maximum of 20 CME Units. Level 3 Cardiac CTA • Board certification (ACGME Radiology, Cardiology, Nuclear Medicine), or eligibility, valid medical license or Foreign Equivalent; and • 300 contrast CCT examinations. For at least 100 of these cases, the candidate must be physically present, and be involved in the acquisition and interpretation of the case; and • Evaluation of 100 non-contrast studies; and • Completion of 40 hours of lectures and/or CME credits related to CT in general and/or CCT in particular (SCCT only); and • Experience directing a CCT lab (SCCT only); and • Peer Recognition (to include at least one of the following-SCCT only) ○ Faculty lecturer for 2 or more CME courses on CCT ○ Fellowship/residency teaching activities ○ Three or more peer reviewed publications in the area of CCT Maintenance of Competence: • 100 Contrast CCT exams conducted and interpreted per year; • 40 hours of Category I CME every 36 months of CCT. Additional details will be posted as soon as they are available. Cardiac CTA Course Level 2: Advanced is organized by Amery Medical Academy (AMA) and will be held from Jun 08 - 12, 2019 at Beverly Hills, California, United States of America. This CME Conference has been approved for a maximum of 20 CME Units. Level 2 Cardiac CTA • Board certification (ACGME Radiology, Cardiology, Nuclear Medicine), or eligibility, valid medical license or Foreign Equivalent; and • 150 contrast CCT examinations. For at least 50 of these cases, the candidate must be physically present, and be involved in the acquisition and interpretation of the case; and • Evaluation of 50 non-contrast studies; and • Completion of 20 hours of lectures and/or CME credits related to CT in general and/or CCT in particular. Maintenance of Competence: • 50 Contrast CCT exams conducted and interpreted per year; • 20 hours of Category I CME every 36 months of CCT. Additional details will be posted as soon as they are available. Cardiac CTA Course Level 1: Beginner is organized by Amery Medical Academy (AMA) and will be held from Jun 08 - 09, 2019 at Beverly Hills, California, United States of America. This CME Conference has been approved for a maximum of 9 CME units. Description: "Defined as the minimal introductory training for familiarity with CCT, but is not sufficient for independent interpretation of CCT images. The individual should have intensive exposure to the methods and the multiple applications of CCT for a period of at least four weeks. This should provide a basic background in CCT for the practice of adult cardiology or for general radiology. During this cumulative four-week experience, individuals should have been actively involved in CCT interpretation under the direction of a qualified (Level 2- or Level 3-trained) physician-mentor. There should be a mentored interpretative experience of at least 50 cases for all studies in which other cardiovascular imaging methods are also available; correlation with CCT findings and interpretation is strongly encouraged and should be included if possible. Independent performance of CCT is not required for Level 1, and the mentored interpretive experience may include studies from an established teaching file or previous CCT cases and also the potential for CD/DVD and on-line training. Additional details will be posted as soon as they are available. Cardiac CTA Maintenance "Refresher" Course is organized by Amery Medical Academy (AMA) and will be held from Jun 10 - 12, 2019 at Beverly Hills, California, United States of America. A 3 Day class offering 50 Cardiac CTA cases with 9 CME units. Designed to meet the Cardiac CTA Certification Requirements for Cardiac CTA Continuing Experience & Education of the ACC & AHA. One workstation per student. Alternatively, purchase "Mentored Cardiac CT Cases with Cath Correlations", Additional details will be posted as soon as they are available. Fourth Annual UCLA / SVS Symposium: A Comprehensive Review and Update of What’s New in Vascular and Endovascular Surgery is organized by David Geffen School of Medicine (DGSOM) at UCLA, Office of Continuing Medical Education and will be held from Aug 24 - 26, 2019 at The Beverly Hilton, Beverly Hills, California, United States of America. Accreditation: The Office of Continuing Medical Education, David Geffen School of Medicine at UCLA designates this live activity for a maximum of 25.25 AMA PRA Category 1 Credits TM. Physicians should claim only credit commensurate with the extent of their participation in the activity. This activity provides self-assessment credits toward Part 2 of the American Board of Surgery Maintenance of Certification Program. Course Description: This three-day course represents a joint effort of the Division of Vascular and Endovascular Surgery at UCLA and Society for Vascular Surgery. This program will offer an in-depth review of our specialty for those preparing to take the vascular board examinations as well as providing the basic didactic education for the vascular residents and fellows in training. The course recognizes four major pillars of vascular surgery practice, which include (1) conventional open operations, (2) catheter-based intervention (endovascular surgery), (3) the medical aspect of patient management, and (4) diagnostic imaging and noninvasive testing. An internationally recognized faculty will present a comprehensive survey of generally accepted views, including basic science, pathogenesis, diagnosis, and management of the broad spectrum of vascular disorders. In addition, each speaker has been asked to take a portion of their allotted time in order to review the important new developments, as related to their topic that have taken place within the last year. This year, we will continue to add sections of interactive Q&A following each morning and afternoon session with questions relevant to the topics that have been presented. The questions will be in board format in order to give the participants a preparatory exercise. In recognition of the increasingly important role of endovascular intervention in the vascular surgeon’s practice, we continue to add topics that provide an update on endovascular surgery together with interactive case presentations involving those techniques. This course addresses the needs of practicing vascular surgeons who wish to review the specialty and update their knowledge of new topics in this rapidly expanding field. In addition, vascular surgery residents will find this course a comprehensive overview of the subject that is designed to supplement their training and to provide a foundation of basic science necessary for their complete understanding of the subject. It conforms to the clinical and basic science curriculum as outlined by the vascular surgery program directors (APDVS). Objectives: At the conclusion of this course, participants should be able to affirm or modify their approach to patient management in the following areas: • Indications, technique, and results of the spectrum of open vascular operations including such common procedures as carotid endarterectomy, repair of abdominal aortic aneurysm, aorto-femoral bypass, and infra-inguinal bypass. Also, management of varicose veins and deep venous occlusive disease. • Indications, technique, and results of the spectrum of catheter-based intervention including endovascular repair of thoracic and abdominal aortic aneurysm, aorto-iliac and femoralpopliteal-tibial occlusive disease, and carotid artery stenting. • Medical management of vascular disease including treatment of hypertension, risk factor modification, the use of anti-platelet, anti-coagulant, and statin therapy. • Diagnostic studies including duplex ultrasound, magnetic resonance angiography, CT angiography, and catheter-based contrast angiography. Controversies & Advances in the Treatment of Cardiovascular Disease, the Nineteenth in the Series is organized by Promedica International CME and will be held from Nov 14 - 15, 2019 at Montage Beverly Hills, Beverly Hills, California, United States of America. Target Audience: The conference is designed for cardiologists, interventional cardiologists, cardiovascular and thoracic surgeons, perfusionists, nurses, technicians and those involved in the diagnosis, treatment and care of individuals with controversial and complex cases of cardiac disease. Program Description: We are proud to be celebrating the nineteenth annual Controversies and Advances in the Treatment of Cardiovascular Disease symposium in 2019! The scientific program will be released very soon and will focus on realistic views of controversial issues in cardiovascular disease. Sessions will include a combination of lectures, debates, and roundtable discussions presented by a faculty of internationally renowned leaders. Additional details will be posted as soon as they are available.